Cyberspace has emerged as a new space where exchanges and power relations play out, and this has led actors to wonder whether or not there are borders within cyberspace and how those should be defined. At the same time, conflict within cyberspace affects traditional warfare because military organizations and equipment make extensive use of cyber tools. Ultimately, cyberconflict today may decrease the use of physical violence or even prevent it. States now face a new challenge: how can they protect these new types of territories in cyberspace? Are there links with methods for ensuring existing borders? How can they take control of this new strategic space? How must they cooperate with other actors? Is international law a well-adapted tool for these changing times? Are existing laws like the Armed Conflict Law (Droit des Conflits Armés) and the International Humanitarian Law, transferable to the cyberconflicts? Are there certain ethical concerns specific to the cyberconflicts? This book explores political control in cyberspace territories and the questions of legal control in conflicts that take place there. 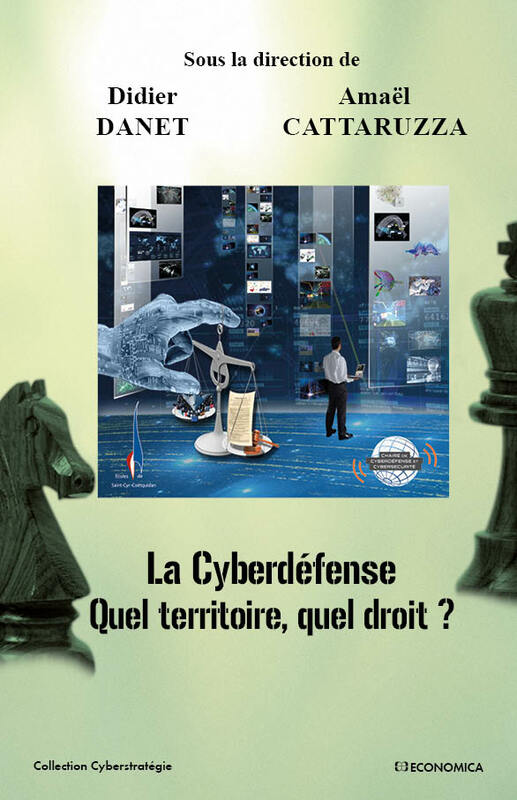 Edited by Didier Danet and Amaël Cattaruzza, lecturers at Écoles de Saint-Cyr Coëtquidan and concluded by Vice Admiral Arnaud Coustillière, general officer of Cyberdefence (officier général Cyberdéfense), it was made with the support of the Saint-Cyr Chair of Cyberdefense and Cybersecurity, Sogeti, Thales.